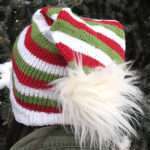 A very simple pattern with continuous rib stitch throughout. 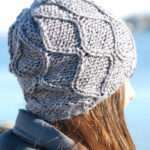 Knit in double knit with 60 double pegs. 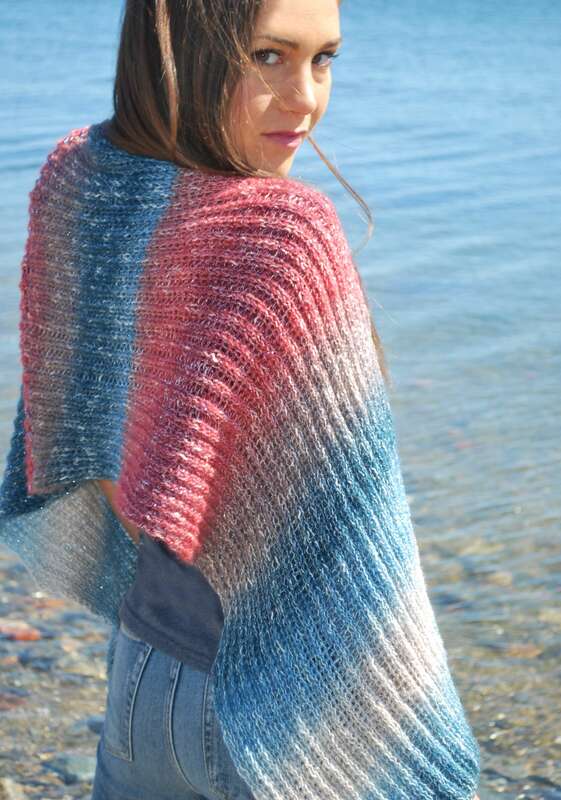 Shawl is made light and airy with the Shawl in a Cake yarn by Lion brand. 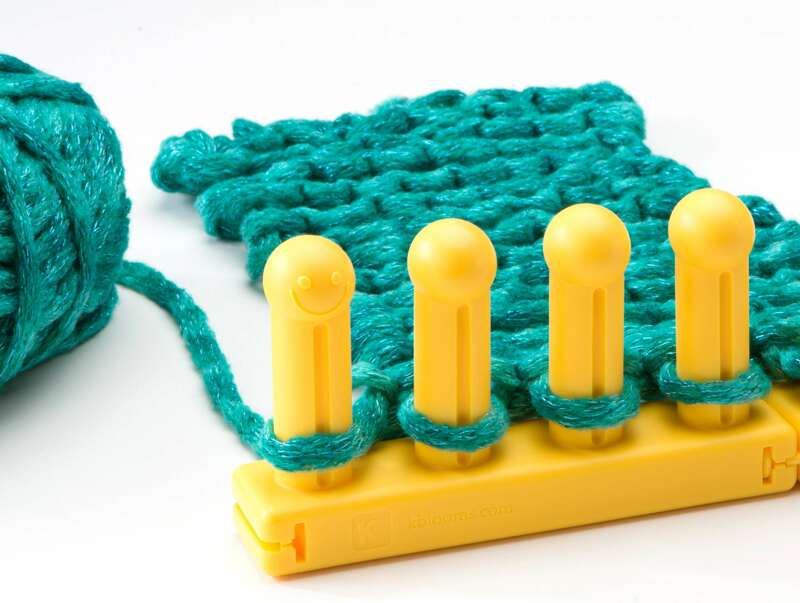 LOOM: ‘Rotating’ Double Knit Loom with 60 Peg Loom Toppers or 28″ Loom. Set up for double knit. YARN: Lion Brand ‘Shawl in a Cake’, #4 worsted yarn. Cotton and Acrylic blend, machine wash and lay flat to dry. Color, Moonstone. 2 skeins. 950 yards. NOTIONS: Knit hook, crochet hook, sewing needle. Pattern is worked double knit as a flat panel. Cast on 60 pegs in Stockinette. Lay anchor yarn in contrast color around loom to secure stitches. Repeat row one until 24″ of yarn remains. 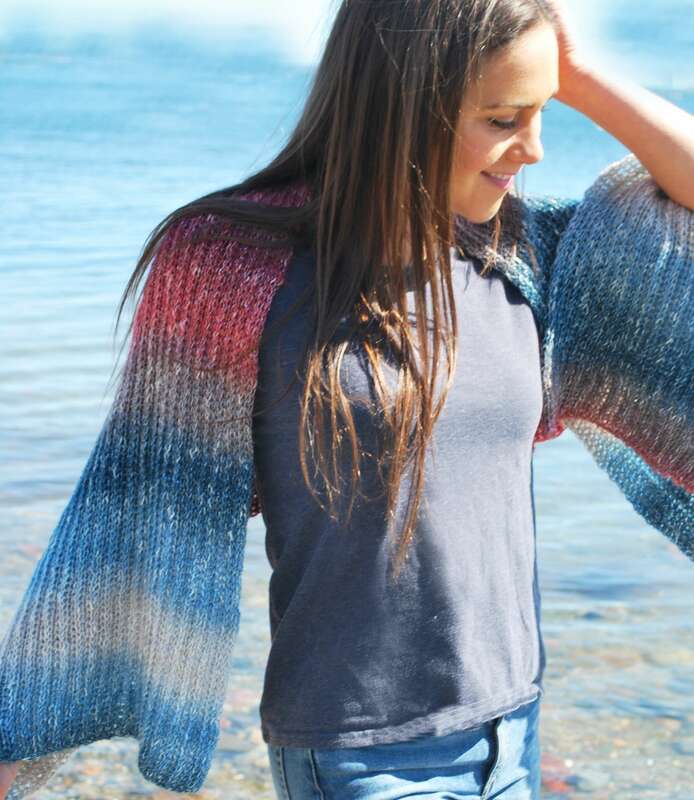 Approximately 264 rows. Bind off loosely using crochet hook. Remove from loom. Bind off loosely at cast on edge using crochet hook. Carefully remove the anchor yarn. Weave in any yarn tails.